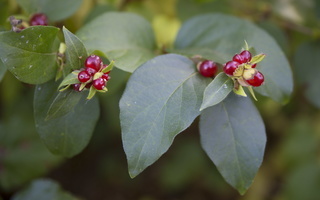 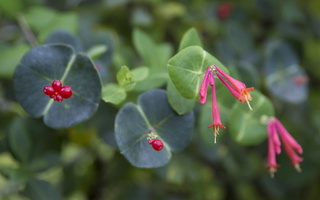 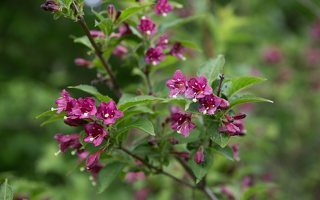 EN · honeysuckle family DE · Geißblattgewächse LV · kaprifoliju dzimta PL · przewiertniowate RU · жи́молостные, жи́молостевые They are mostly shrubs and vines, rarely herbs, including some ornamental garden plants in temperate regions. 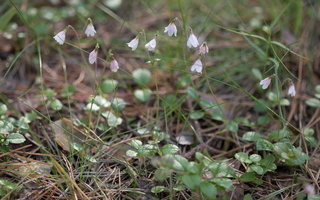 The leaves are mostly opposite with no stipules (appendages at the base of a leafstalk or petiole), and may be either evergreen or deciduous. 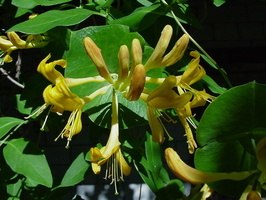 The flowers are tubular funnel-shaped or bell-like, usually with five outward spreading lobes or points, and are often fragrant. 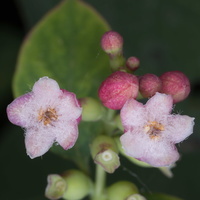 They usually form a small calyx with small bracts. 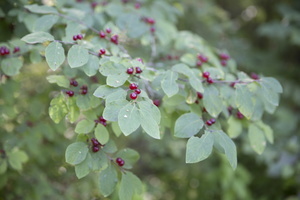 The fruit is in most cases a berry or a drupe. 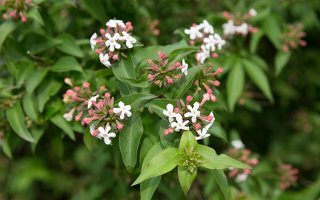 Family Valerianaceae is now considered part of the family Caprifoliaceae: subfamily Valerianoideae.